Out in the market, there are various kinds of business holders, ranging from struggling entrepreneurs thriving to make their first attempt work; to business tycoons that are aware of their business and have achieved enough gold. But the one feature that both these kinds of business people share is their need to sell their product, earn money and become leaders of their fields. For many business minds, marketing done through social media and networking sites helped to get their share of achievement. Now, in this era of online marketing, using social media as a tool has gained global attention and the internet is your best companion. And the most important step besides all the endeavors is- Reaching out to social networking sites. There are unlimited advantages of having your business in this social media world. When you clench onto this rapidly spreading technology, it represents that you go hand in hand with the technology and stay up-to-date with the upgrades. This is noticed by your customers and this increases faith in them. The benefit of commuting with social media is that you can reach a large portion of addresses. 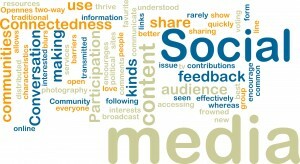 With social media networking, it is easier to get your idea to the people. There are a range of social media marketing companies and when you’re probing for the right one, here is a list of top 10 sites which might be of immense help to you. Competition is increasing at a very fast pace in almost every field. One who makes the most of the resources in appropriate means tastes success and sustain a notable growth. After all, how long one can depend on the traditional ways of marketing techniques? In this modern market, it is utter foolishness on the part of any business owners not to adopt the apt marketing ways. The growth spectrum of every business is largely dependent on development and conduction of striking marketing strategies that has to connect with the products, services etc. 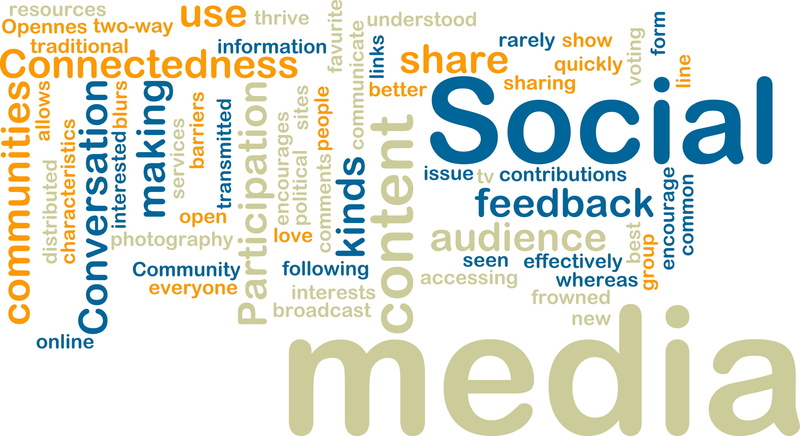 Social media networking websites are an immense pool of resources where millions of people congregate and have various social discussions, on numerous topics, events, news, current affairs, and not to neglect, many personal interactions as well, like chatting, image sharing, etc. Besides, these internet sources provide numerous possibilities for the flourishing one’s business. A geometric hike in the use of internet, and availability of handy devices that enable internet connection pour a huge number of internet users to these social media websites. There was a time few years back when people used internet for sending e-mails, using research tools and educational purposes. But today, internet is an integral part of almost everyone in urban areas. Today, almost 90 percentages of web users are captivated in social media platforms and 99 percentages of news, events and relevant topics are of prime discussed over social media websites. 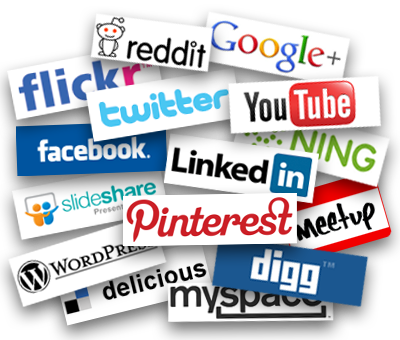 Utilization of social media websites in business marketing of a service or product is not mere twist of fate. It is a growing trend crawling in every marketing activity. There was a time, when large audience was available to read newspapers, therefore at that time; marketing was possible through newspaper advertisements. Similarly, with audience for TV, there will always be a possibility to sell products via TV ads and various promotional press releases. Like in these other marketing methods, social media audiences are used for marketing intentions like- promotion, generation of sale leads etc. Here are listed 10 most influential social media marketing websites that are useful for promotion of your products and services. Facebook is the most common amongst the public and is highly familiarized name as a largely swarming social media platform where a large section of people are drawn together. Here they share their thoughts, feelings, communicate with their friends over numerous topics, share photos, events videos and many more. Power of Facebook is growing to a large extent to name it amongst numerous effectual social media networking website. With expanding technology, and portable devices with 2G, 3G connections, billions of people remain connected via face book. Twitter can be termed as a microblogging platform having widespread capability with its communication options of tweets and re tweets. Marketing possibilities are enabled by the influencing features, uses of smart mobiles for tweeting, tagging tweets, twitter trends, listing, following and many more. Linkedin is considered as the prevalent social media website used for professional networking. Therefore, linkedin has an extra advantage of reaching a large sector of professional audience for business marketing. Campaigns are conducted in Linkedin which can attract a highly potential and targeted audience which can be useful for business sales. Google plus is also a extensively accepted social media stage with added provisions of names, shares, plus one, hashing, commenting, following and circles. This site also provides striking choices of social authority that is important for SEO. Its page ranking probability accentuates the use of Google plus among large section of internet users. Some attracting features of Google plus are the- Personalized search results, and its improvised visibility possibilities. Youtube is well known name to the internet users and is one of the prevailing marketing resource. It is largely used for promotion of videos that is apt for various products and services. With its viral possibilities to connect with speedy search engine visibility, Youtube can be efficiently used for marketing. Pinterest is amongst much loved sharing website. It is largely used for sharing beautiful pictures and it holds many popularity enrichment features such as pin, re pin etc. It is recently popularized stage with special attention given to the additional plus points that are related with search engine ranking. Reddit is considered as the hottest news sharing site. Here, the published matter can be readily publicized and can be easily promoted with likes, comments, shares etc. Reddit has a large number of categories for sharing any link, message, or post etc. Myspace is a platform for sharing and spreading artistic work and creations, various audios and videos. It holds features like, profile building, follower building, chat etc. It can be greatly used for marketing one’s business. VK is a potent social network site holding more than 100 million users, mainly from Europe. VK has achieved a large user annual and can be effectively used for the purpose of marketing. Stumbleupon is a widely used website for people who are looking for new web designs, photos, videos etc. Business marketing holds great possibilities along with building up a large number of followers, friend’s lists, community, and group building. There are loads of chances for business marketing and publicizing brand images, websites, videos etc.